Urban Outreach Bolton – 1.8 tonnes of kindness! Home / Urban Outreach News / 1.8 tonnes of kindness! 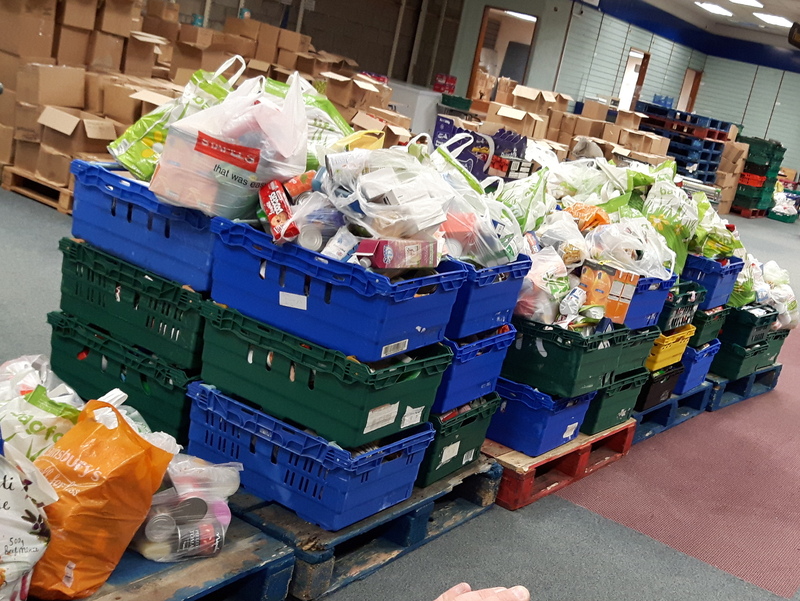 For one day a year Urban Outreach Staff, volunteers, staff from the Seddon Group and Bolton at Home team up with ASDA stores across Bolton to collect food for our food projects. Saturday 19th November was a wet and cold day but that didn’t stop the collecting of the items, chatting with people from the community and being a friendly face as people entered and left ASDA. Astley Bridge, Horwich and Burnden Park saw people donating for six hours and we collected a massive 1.8 tonnes along with £134.68 from customers. This will help towards stock up Storehouse and the Pantry as numbers increase as the weather gets colder. Thank you to all who volunteered and donated on the day!